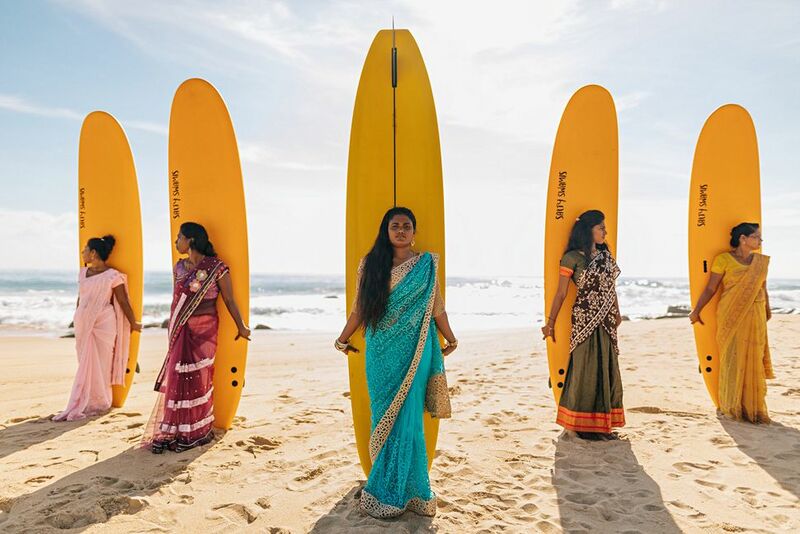 In 2015, Carothers–along with visiting Australian surfers–organized an event to teach more women in the village how to surf. The event was successful, in Carothers’ eyes, and got over 30 local women out in the water. But within two months, word had spread about Carothers’ event and she was summoned by a town official, who told her that some men in the village were unhappy about their wives and daughters taking up surfing. It was insinuated that Carothers’ family would be kicked out of Arugam Bay if the surf lessons continued, and that if she really wanted to help, she should buy the women sewing machines.